Michigan may not be known for its tornadoes, but there have been some significant twisters that have touched down in the Great Lake State, dating back to the 1950s. Michigan averages 17 tornadoes each year, but the annual occurrence has ranged from as high as 39 to as low as two. Tornadoes are an infrequent visitor to Michigan. According to the National Climatic Data Center, the state averages just 17 tornadoes a year. While 17 may seem like a substantial number, compared to the twister-prone state of Texas, which averages 35 to 159 tornadoes per year, Michigan's yearly tornado count is relatively low. Of the all the Michigan tornadoes recorded in history, only about 5 percent reach F4 or F5 on the Fujita Tornado Damage Scale. An F4 or F5 storm is categorized as “devastating” and the powerful winds reach speeds of 207 mph or more. According to the Extreme Weather Sourcebook of 2001, Michigan ranked 17th in the nation in terms of economic loss caused by tornadoes. 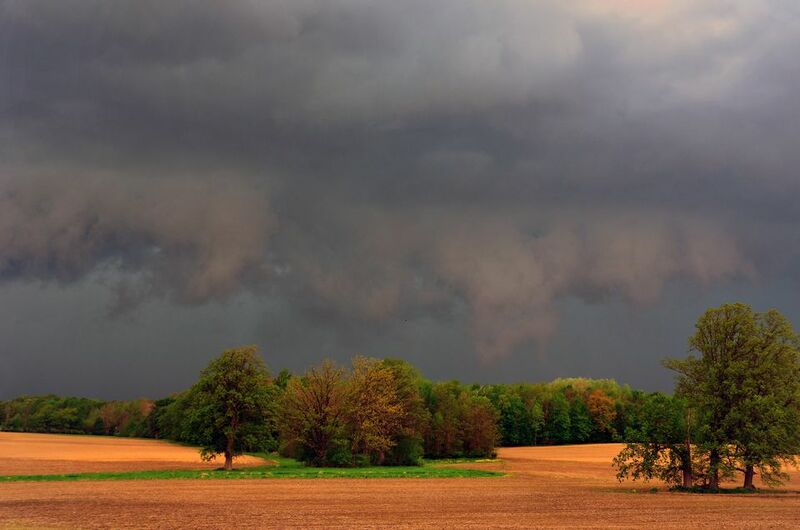 Michigan tornadoes tend to arise in the late afternoon and early evening, usually between the hours of 4 and 6 p.m. While they occur most often in the month of June, April and May also mark the height of tornado season, according to the National Weather Service. However, tornadoes have been reported all year, excepting the months of December and January. There has only been one F5 tornado on record in Michigan and it caused an incredible amount of damage. The storm, called the Flint-Beecher Tornado was categorized as “Incredible” with wind speeds between 261-318 mph and the storm was the ninth deadliest tornado in United States history. The storm raged through northern Flint on June 8th, 1953. It devastated houses along a 23-mile-long path that spanned to the town of Lapeer. The powerful twister killed 115 people, injured 844, and caused $19 million in property damage. The storm was so strong, debris from the touch-down path was found up to 200 miles away. Large tornados, wreaking havoc on the ground, have been reported by the media. In some of these big storms there were fatalities and in some of the storms, multi-million dollar damage to property. May 12, 1956: The Allen Park F4 Tornado injured 22 people. July 4, 1957: The Brighton F4 Tornado caused 2 injuries, and destroyed several homes. May 8, 1964: The Mt. Clemens F4 Tornado cut a three-mile-long path north of Mt. Clemens. The storm killed 11 people and damaged 372 houses and buildings. April 11 - 12, 1965: The Palm Sunday Outbreak was a severe weather event that spawned 51 tornadoes Indiana, Ohio, Michigan, Wisconsin, Illinois, and Iowa. April 3 - 4, 1974: The Super Outbreak was another extreme weather event that spawned 148 tornadoes throughout Michigan and several other states in the Midwest. March 20, 1976: The West Bloomfield F4 Tornado touched down along Halsted Road between 13 and 15 Mile Roads. It killed one person and caused $5 million in property damage. April 2, 1977: A tornado touched down in Eaton County. One person died and 44 were injured in the mile-wide storm. May 13, 1980: A twister touched down on Kalamazoo's main street causing five deaths and 79 injuries. June 21, 1987: One person was killed and six injured in Oakland County when a tornado touched down in a mobile home park in Novi. The damage exceeding $1.7 million. Aug. 14, 1988: A twister touched down near the campus of Michigan State University and left a damage path for 25 miles across rural Ingham County. One person was killed. March 27, 1991: Three people were killed in northern Lower Michigan. Fifteen tornadoes caused more than $30 million in damage. July 2, 1997: 13 confirmed tornadoes touched down in southeast Michigan. This was the largest single-day tornado outbreak in recorded southeast Michigan history. As recent as 2018, multiple tornadoes touching down over a short period of time impacted the state of Michigan. During one summer week, the National Weather Service confirmed that nine tornadoes touched down across the state. Seven happened on the night of August 28-29, and two more on the night of September 1-2.